I’d like to pretend that you are all surprised to see JMK Nippon as my number one choice when it comes to sushi, but #LBH you are not surprised at all. My personal favorite (closer plate in the picture) is the Tokyo Roll. 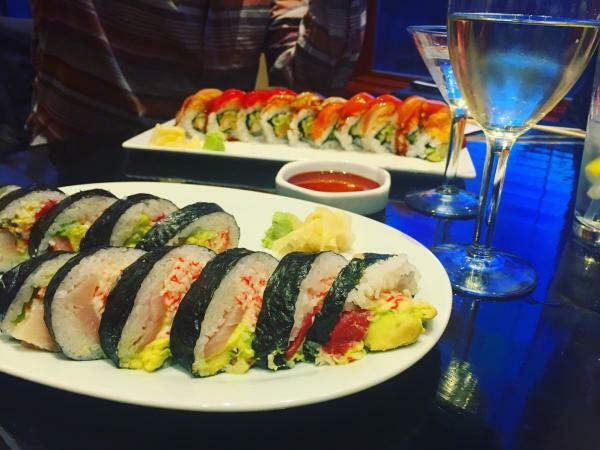 The Tokyo Roll is yellowtail, tuna, salmon, crab, and avocado, wrapped in cucumber. I swap the cucumber wrap out for a seaweed wrap because I like to keep things interesting… at least that’s what I tell myself so I feel better about being difficult. If you are not in the mood for sushi (not sure why this would ever actually happen), there is no need to panic. 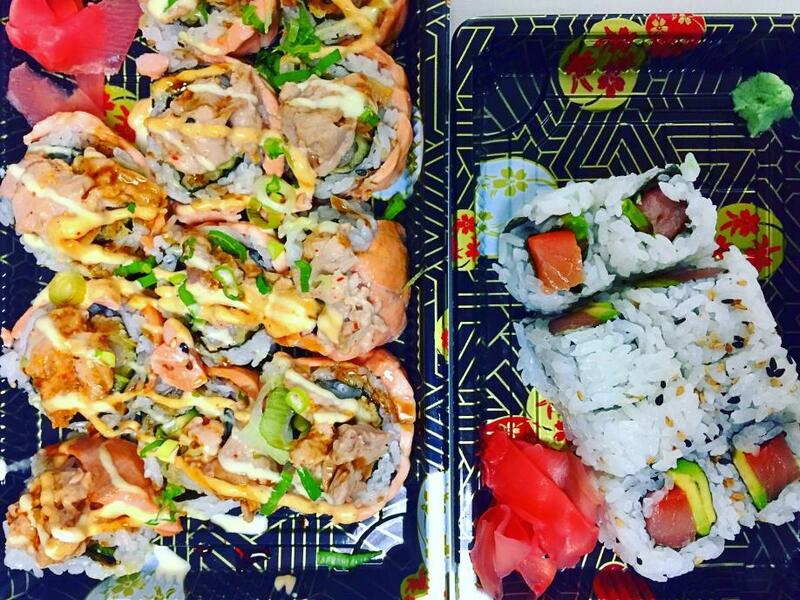 Not only does JMK have superb sushi, but they also have so many other options for you to choose from! Between Mas’ Special Soft Shell Crab, the Rick N’ Roll and the Salmon Ginger Ceviche, there is something on their menu that is meant to be in your belly. On those dreadful days where your family, friends, and/or SO’s put you in charge of choosing a restaurant, you can confidently say “JMK Nippon, duh” because everyone is bound to like AT LEAST one menu item. If they don’t then you did yourself a favor and you don’t have to pick the restaurant anymore (it’s a win, win situation folks). I am disappointed to say that I did not experience the deliciousness that is Marc’s Fusion Cafe until ONE YEAR AGO. Yes, you heard me correctly… I have been missing out on Marc’s for 23 years of my life. I suppose this is the reason why the saying “better late than never” exists BUT I am still not happy about it. Luckily, my first Marc’s experience was with seasoned veterans and they were able to show me the ropes. First, they had me try the Vegetable Fried Rice and it was AH-mazing. If you are a visual person, imagine a 5’3”, twenty-something girl shoveling half a plate of rice into her mouth in front of FOUR full grown men. That story isn’t about me though, it’s about a girl who sat at the table next to mine (wink wink). Now let’s get back to the sushi. 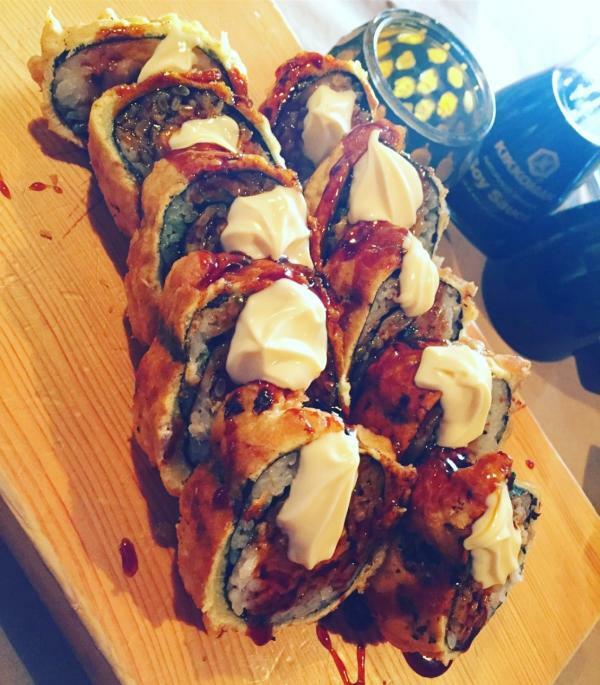 Pictured above is the Manhattan Roll. I typically do not go for sushi rolls that are fried in tempura batter, but I decided to take a walk on the wild side and let me tell ya… Once you go battered, you never go back. MIC DROP. I must say I can really relate to Ron Weasley and his irrational fear of spiders. I also just really like Ron Weasley… like I spray painted my hair orange and dressed up as him in college. I would give you a visual but it wouldn’t be pretty (not that the image of rice shoveling was pretty either). ANYWAYS, my point is that I was pleasantly surprised when I checked out Spider Sushi Bar. Not only are the names of their sushi rolls unique (Batman Roll, Captain America Roll, Spiderman Roll, Superman Roll, etc), they are also very tasty! 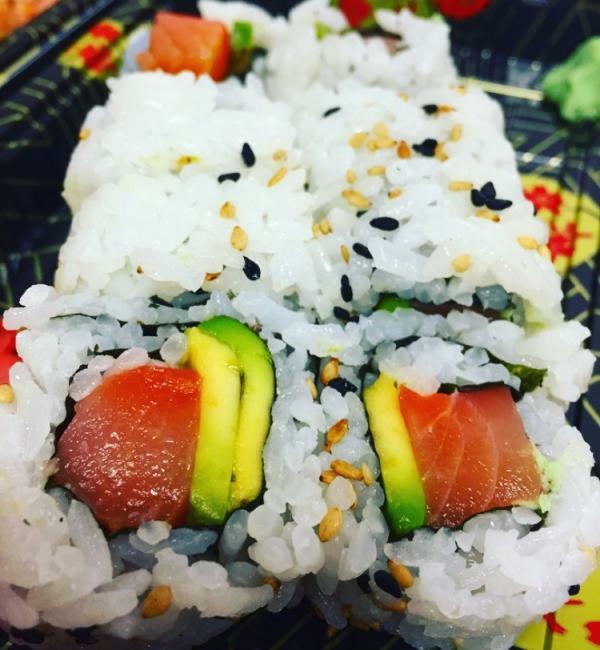 My coworker had the Alaskan Roll (pictured above) which is smoked salmon and avocado. I decided to be adventurous so I tried the Rockford Roll. The Rockford Roll is shrimp tempura (see what I mean by never going back? ), cucumber and avocado wrapped in Salmon, topped with spicy tuna and scallions broiled. It sounds like a mouthful and it really is a mouthful. If you have a big appetite, this is the roll to try. If you are sharing your meal (because I suppose sharing is caring), I would recommend adding their Tuna Tataki to your order. Tuna Tataki is pan-seared yellowfin tuna served with avocado and tomatoes. YUMMY, amirite! ?